Recently there has been quite a bit of debate about the wisdom of extracting impacted wisdom teeth. That is to say, wisdom teeth that come through at an angle or only partly emerge due to lack of space. Up to the late 1990’s it was routine practice for dentists to remove these teeth because as the impacted wisdom teeth were invariably jammed against an adjacent molar the chances of future decay (for both teeth) as well as the risk of gum disease was significantly increased. However, in 2000 new guidelines from the National Institute for Health Care Excellence (NICE) changed the rules so that preventative dentistry was not authorised and only wisdom teeth that were actually causing problems – such as tooth decay, abscesses or cysts – should be removed. The result of this change of policy has, many experts believe, caused patients more and more problems as time has gone by. Now, finally, the issue of not extracting impacted wisdom teeth is being reviewed … and hopefully the guidelines will change. At Carisbrook Dental we believe we speak for all Dentists in Manchester when we say that this review is seriously overdue. However, because we are committed to comply with the current guidelines from NICE we have not been able to routinely extract our patients’ impacted wisdom teeth, even though, as high qualified and experienced dentists, we could predict that they would almost certainly experience severe problems within a few years. We could and did however, continue to advise patients of the situation and the risks, but we could not suggest that we carry out an extraction because that decision had to come from the patient. As caring dentists we continue to feel severely handicapped whenever we are confronted by this situation. Hopefully the guidelines from NICE will change very shortly, but until then if you are worried about your wisdom teeth or if you are already experiencing pain or discomfort then please by all means either contact us to make an appointment where we can discuss the problem, or alternatively ask your own dentist to refer you to our oral surgery specialist. If required we can take X-rays and examine your teeth to assess the extent or the risk of tooth decay. We can also discuss with you the facilities we offer for oral surgery (extractions) in Manchester. In addition there are a number of other treatments we can provide including white fillings. The main thing is … don’t panic. Give us a call on 0161 951 7295 or contact us to book an appointment. 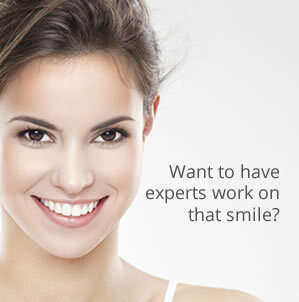 Let us examine your wisdom teeth, assess any risk and put your mind at ease.